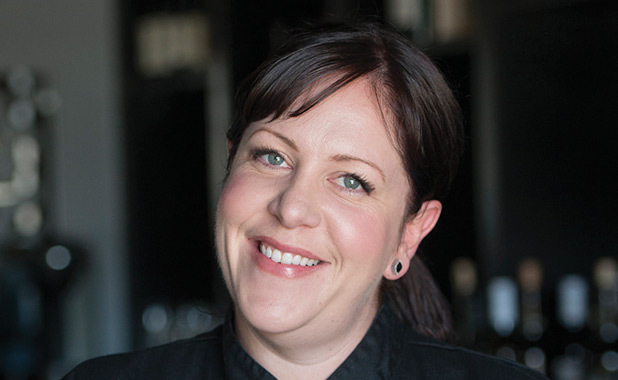 Andie Hubka is the award-winning executive chef and owner of two acclaimed restaurants: La Quinta’s Cork & Fork and the recently opened Heirloom Craft Kitchen in Indio. She also serves as executive chef and owner of Cooking with Class cooking school, the desert’s first and only recreational gourmet culinary school. Hubka was named Chef of the Year by Palm Springs Life magazine for her work at Cooking with Class and has since gone on to open her exceptional restaurant Cork & Fork, which has earned top honors, including Best New Restaurant in 2013 in the prestigious “My Desert” poll, a Wine Spectator Award of Excellence every year since opening, and the distinction of being consistently named among the top restaurants in the Coachella Valley. Hubka has a true passion for food and wine; her specialty is creating unique, spectacular wine and food pairings and multicourse wine dinners. Born and raised in Los Angeles but a desert resident since 2002, Hubka is a classically trained chef, cookbook author, wife, and mother of two young girls. A teacher at heart, Hubka staffs her kitchens with students from the La Quinta High School Culinary Program in partnership with the school, creating the desert’s first paid culinary internship program that has successfully graduated four years of students into the local culinary workforce and beyond.